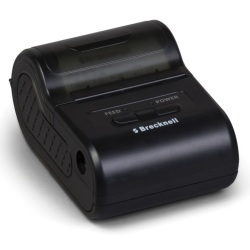 Brecknell CP103 thermal printer represents the latest in compact printing technology. Despite compact, hand held size, this printer is packed with features. Time and date is standard with customize logo affixation, invert printing and RS-232. Good choice to replace the popular NCI 1200 series. The Brecknell CP103 thermal printer is designed for many different applications. This affordable printer is an ideal replacement for the popular NCI 1200 series printer. Common Applications for the Brecknell CP103 include In-Vehicle Printer, Emergency Services, Field Service, Logistics, Testing and Measurements, Retail, Facilities Management, Agriculture, Recycling, Waste Management, Law Enforcement, Cranes, Data Collection, Receipts, Product Labeling & Hospitals.